How do we humans define our wealth? Some of you might say, ‘I define my wealth by the assets I possess’, many of you will lovingly say in your head, ‘my wealth is my family and beloved friends’! 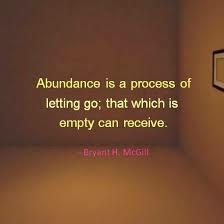 Regardless of how you define your personal wealth, there never seems to be enough to satisfy our hunger for abundance. We are always sitting on a wish for more, bigger, better, extra, additional and greater. If our wish were granted, just one time, we promise ourself over and over again we could be so much happier. Lottery tickets, slot machines, betting on that race horse, gambling on the stock market, we play games of chance for money, power and prestige, risky actions all in the hopes that our wish will come true. We invest so much of ourself in people, hoping they will turn out to be that one true friend, someone we can count on and trust when we really need it. Cold hard cash, it can buy you just about anything and everything when you need it and even when you don’t. We beg the Universe to send it to us, we pray the bank will make a mistake and suddenly thousands will appear in our account, we wish that our business would thrive and we are constantly penny pinching at the grocery store, why? Is it a waste of our energy to put so much of our Souls worth on the value of what we own and who we know? No wonder our Ego’s has authority over our lives, we give it permission by allowing it to feed on our constant fear. Money is known to be the root of all evil, and indeed it is, it is a way for the powerful to control the masses. Money – what we own, what we think we need and who we hang out with, has so much to teach us about who we are and what our life is really all about. Do you know what your lessons are? What does money have to teach you? What fears do you hold inside of you in regards to your definition of wealth? Cold hard cash, maybe it’s time to change up your mantra – ‘there will always be enough for what I truly need’! At the beginning of this new year, perhaps it is a good time to redefine your definition of wealth and bring your conscious awareness more into balance with what really matters, and what really counts for you, for the rest of the time you try your hardest to survive on this crazy, messed up planet we call our Earth.